‘Harriet’: First Look Reveals Cynthia Erivo as Harriet Tubman!! Check It Out!! | Welcome to Moviz Ark! 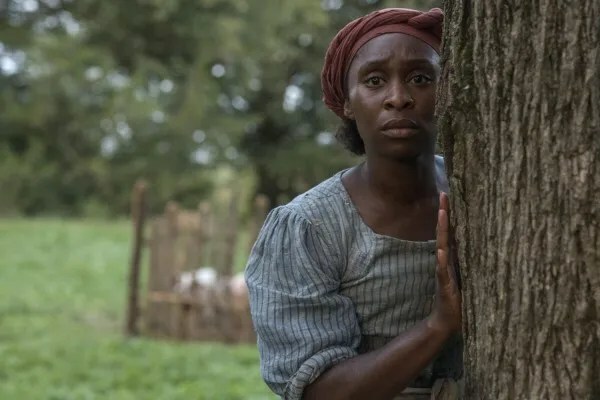 ‘Harriet’: First Look Reveals Cynthia Erivo as Harriet Tubman!! Check It Out!! Focus Features has released the first official images from the upcoming Harriet Tubman movie Harriet, which reveals Tony Award-winning actress Cynthia Erivo as the historical figure. The film hails from Black Nativity filmmaker Kasi Lemmons, who also directed episodes of Luke Cage and Shots Fired, working from a screenplay by Lemmons and Gregory Allen Howard (Remember the Titans). Not much is known about the specific angle here, but the official synopsis says the film will chronicle Tubman’s escape from slavery and subsequent missions to free dozens of slaves though the Underground Railroad in the face of growing pre-Civil War adversity. A big reason to be excited about Harriet is Erivo, who is breaking out in a huge way. While she won the Tony for Best Actress in a Musical in 2016 for The Color Purple, she made her feature film debut last year with two major works: a scene-stealing supporting role in Steve McQueen’s Widows, and a jaw-dropping, awards-worthy co-lead turn in Drew Goddard’s Bad Times at the El Royale. She’s a phenomenally talented actress at the very beginning of her film career, so I have a feeling Harriet is going to be a big deal. Check out the first images of Erivo in Harriet below. The film also stars Leslie Odom Jr., Janelle Monae, Joe Alwyn, Jennifer Nettles, and Clarke Peters. Focus Features will release Harriet in theaters at some point in 2019, but a firm release date hasn’t been set. ← ‘Prisoners of the Ghostland’: Imogen Poots Joins Nicolas Cage in the Action Horror! !